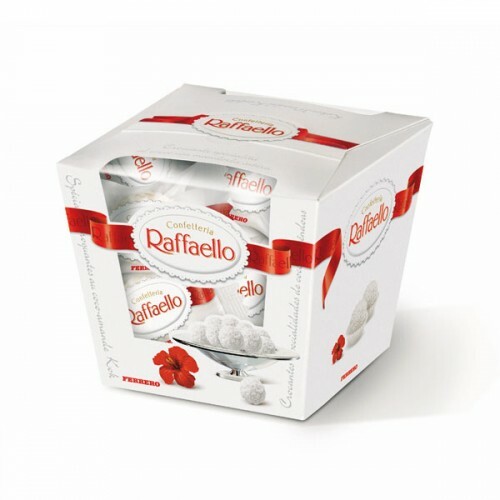 The Crispy, Creamy Almond Coconut Treat, Ferrero Raffaello candy in eighteen pieces pack. Please note - this product you can buy only with any flower bouquet! Chisinau Flowers - the best way to send sweet gifts to Moldova. Try our Moldavian flower and gift delivery service, and you won't regret. Always best quality, price and customer service.